The ASP.NET team is pleased to share the first preview version of the ASP.NET Core 2.0 framework. In this post, we’ll look at the new features and changes to the web framework that were announced at the Build 2017 keynote and sessions. We will also look at some other updates that were published for ASP.NET 4.7 and WCF. ASP.NET Core 1 was ranked in the top 10 of the TechEmpower plaintext benchmarks in November 2016. We’ve continued to work on our performance, and we’re already seeing improvements thanks to enhancements in the Kestrel server, thread pool, and JITter, to name just a few. 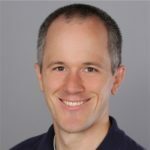 We are also providing a runtime store with pre-JITted versions of all of the ASP.NET Core packages we ship. This reduces a lot of the work needed at startup time for your application. Our initial tests reflect a significant improvement in startup time and we’re continuing to work on optimizing the store for subsequent releases. ASP.NET Core projects now default to pre-compiling Razor views and pages during publish, which removes one of the most significant portions of application startup time after deployment. This change, along with the aforementioned publish trimming and runtime store, also contributes to the drastic reduction in size of published applications, reducing deployment times and disk usage on servers. The SQL Server provider has been optimized for SQL Server versions 2008 and later, as well as for Azure SQL Server. All requests to the database are asynchronous and should help with concurrent request performance on your web applications. It has also been configured to no longer require you to allocate the tables and schema for the session management, and instead create and manage them for you. The database provider also works with the new concurrent requests mode. Finally, the provider has been optimized to use in-memory OLTP on SQL Server 2016 and SQL Azure. We’ll post an update when they are available. 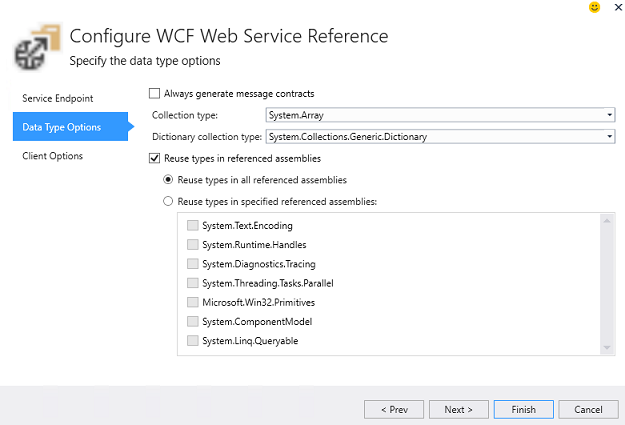 The WCF team has issued an update to the WCF Connected Service extension for Visual Studio 2017 and .NET Core. This extension provides the same “Add Connected Service” feature that you’re familiar with in .NET Framework. The tool makes it much simpler to configure.NET Core 1.x projects that need to connect to WCF end points. A future update will enable connectivity from .NET Core 2.0 projects. Install the extension for Visual Studio 2017 from the Visual Studio Marketplace. New-IISSite -Name "WcfService" -PhysicalPath C:WcfService -BindingInformation "*:83:"
More details and samples with this image can be found on the WCF docker image repository. Details are also available if you would like to run the WCF client for .NET Core in a container. Are you interested in working with other endpoints or security with WCF services in containers? Let us know what features you want to see in our next set of updates for WCF container images in the comments area below.